Ha Long Bay is probably the most famous tourist sight in Vietnam, and rightfully so. This impressive bay consists of some 2,000 limestone karsts, or steep cliffs formed by erosive and geographic forces. For most tourists, visiting Ha Long Bay is one of the highlights of their trip. This is especially true for ecotourists, as Ha Long Bay is easily one of the most unique and impressive geographical features in the world. 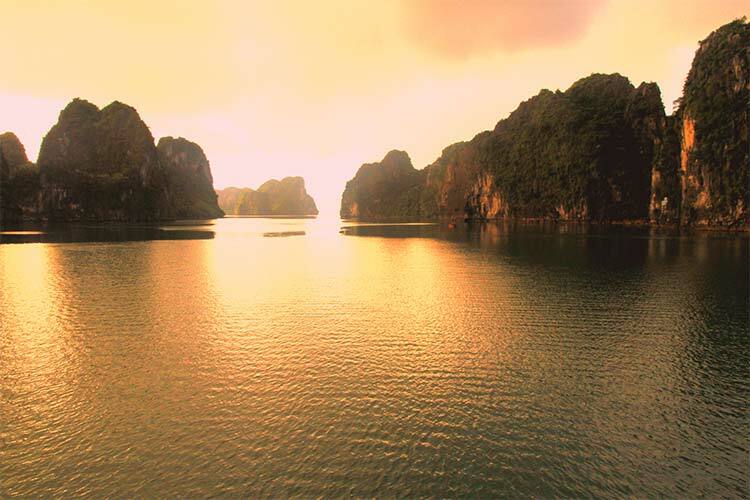 Because Ha Long Bay is, well, a bay, there’s a few different ports that offer cruises and other water activities. The most logical is probably Halong City, which has a fancy dock and all the amenities you would expect in a major city. This is typically where travelers with money set sail from. Alternatively, you could leave from Hai Phoung. 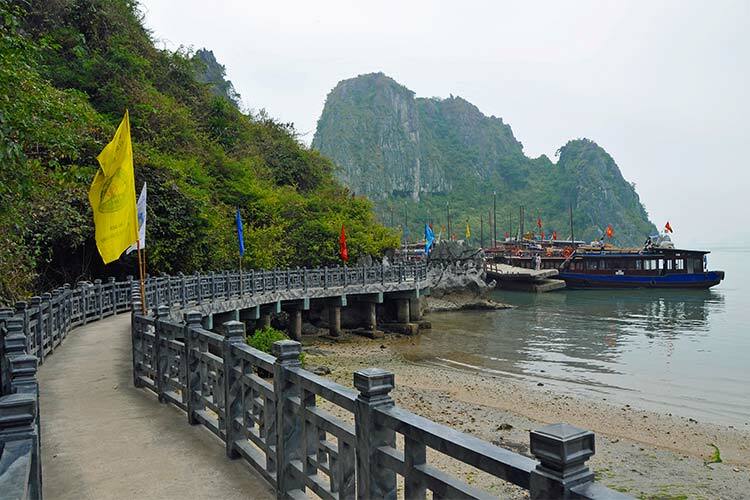 This coastal city has a lot more charm than Halong City, though it is further from the karsts. The best option, in my opinion, is spending your time on Cat Ba island. Cat Ba is an up and coming tourist center located directly in the center of Halong Bay. It already has plenty of hotels and restaurants, and also acts as the base of operations for most ecotourist activities in Ha Long Bay (as well as the adjacent and equally impressive Lan Ha Bay). 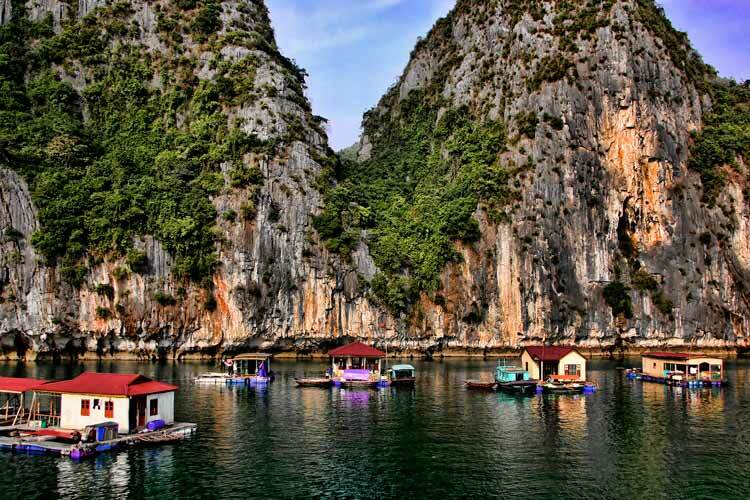 It’s easy to find guides for rock climbing, snorkeling, kayaking, and sailing through Ha Long Bay. I’d particularly recommend kayaking though the karsts. There’s a number of them that feature aquatic caves, which are stunning in their own right, but also give you access to otherwise secret and secluded lagoons. Cat Ba island is also the home of Cat Ba National Park, which is a lovely yet ill maintained jungle park. 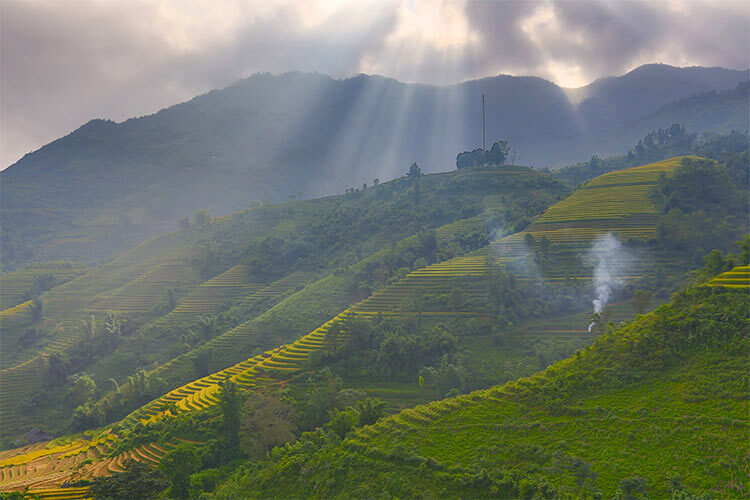 To understand the charm of Sapa, you first need to know a bit about its history. Back when Vietnam was still a part of the French colony Indochine, the French selected Sapa as the sight for their lovely new mountain resort town. They built lavish villas, fancy restaurants, and all the other niceties one would expect from a world class mountain resort. When the Viet Minh ultimately took the city over, they chose to leave most of the original French structure in tact. Today, Sapa is an interesting mixture of an idyllic mountain town, such as one might find in the Alps, but with a distinctly Vietnamese population. The town is one of the only parts of Northern Vietnam that has been developed for tourism, and as such it attracts a number of people from the surrounding villages. Many of these peoples still wear traditional dress and handmade all their crafts. Most of these people also offer homestays in their traditional houses – in fact, you can’t walk for more than 10 minutes without being offered a homestay. 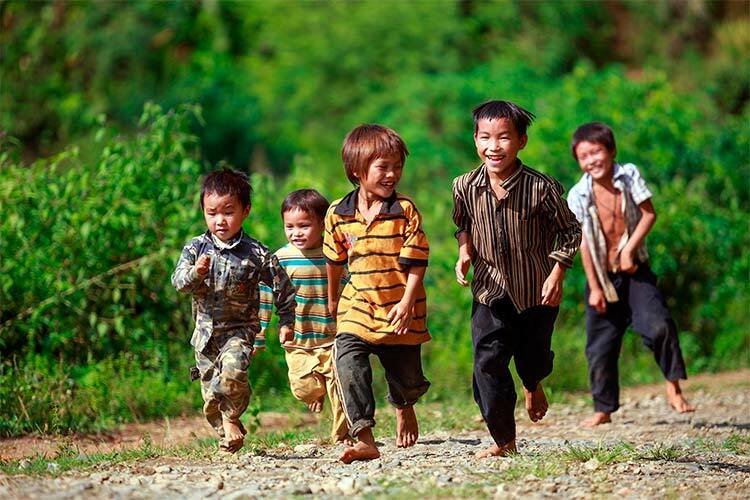 This experience involves a 3-5 hour hike outside of Sapa to the beautiful surrounding countryside, where you will then be taught the traditional ways of the Vietnamese hill tribes. As far as ecotourist activities go, by far the best option is mountain trekking. Sapa is surrounded by some of the tallest and most impressive mountains in mainland Southeast Asia, meaning you can pick literally any direction and be guaranteed a fantastic hike. 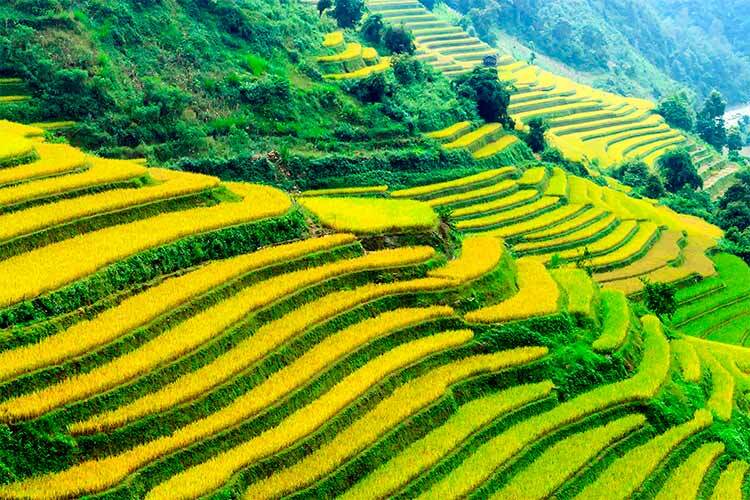 Interestingly, much of the mountain valleys have been converted into rice terraces, giving a surreal Assian flair to the valleys. Some of these impressive terraces are 50-100 layers in height. There’s also a number of waterfalls around Sapa. One of the better falls to visit is Love Falls, which involved a short yet lovely hike through the mountains and up a small creek. Though it’s not quite an ecotourist activity, I’d also recommend renting a motorbike in Sapa. In the six months I’ve spent in Southeast Asia, I’ve never experienced a more thrilling and beautiful motorbike ride. You can exit town in literally any direction, drive until you’re halfway out of gas, and then turn back, and you’ll be guaranteed a fantastic ride. There’s probably other great ecotourist destinations in northern Vietnam, but they’d have a tough time competing with Ha Long Bay and Sapa. I’d highly recommend both these destinations to ecotourists and regular tourists in Vietnam alike.